Do you want gorgeous hair at affordable prices, then look no further!!! 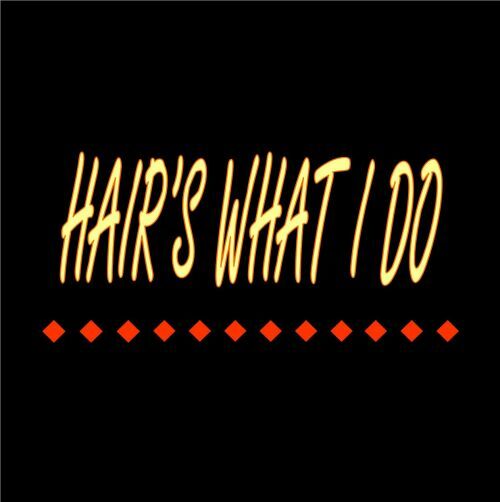 Hair's What I Do offers a variety of professional hairdressing services that caters for all your hair needs. With well over 15 years experience, I pride myself on my work, skills & knowledge of all aspects of hairdressing & will utilise these skills to help create that ideal look that's just for you. No more waiting around in a salon, no more babysitters needed, have your very own personal hair stylist come & provide quality services in the comfort of your own home, so that way you can still get on with the things you need to do at home while you have your hair done at the same time or alternatively you can come to my home if that is more suited to you. For bookings or inquiries, please do not hesitate to contact me, as I am happy to help in any way. Travel charges may apply to some areas!!! Find and like us on Facebook: http://www.facebook.com/hairswhatido.